Home > Blog > Economy > News > Why Invest in Atlanta Real Estate? Atlanta real estate is in high demand among investors nationwide. “Investors on HomeUnion®’s platform gravitate toward Atlanta real estate because the area offers a great balance of both cash flow and appreciation. 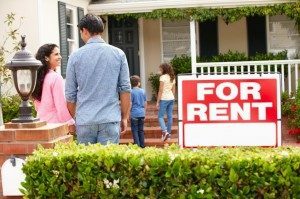 “Many people we talk to on the phone inquire about two types of Atlanta real estate investment opportunities: single-family rentals (SFRs) and multifamily properties. And these investors come to us with a diverse array of needs, whether they’re busy professionals with existing portfolios of properties seeking to further diversify with a passive, cash-flowing investment vehicle, or first-time investors eager to cash in on the favorable returns provided by Atlanta real estate,” says Thomas Stepp, Director of Solutions for HomeUnion®. 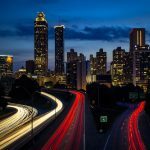 So, why should you invest in Atlanta real estate? In short, rental demand remains healthy in the metro. Last year, we reported that the region benefits from strong job growth, and an exodus of retirees trading cold-weather climates for warmer alternatives. These retirees are looking to not only buy residential real estate, but also looking to rent and live in SFRs. 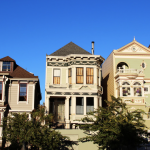 This emerging trend means real estate investors can capitalize on the local rental market. But why is rental demand improving? Because the local economy continues to strengthen and should keep growing in 2018. The market’s largest sector, trade, transportation and utilities, is supported by the nearby port of Savannah, which offloads container ships and sends them to the metro to be distributed. The market boasts the world’s 18th-largest economy and is home to seven Fortune 500 headquarters. A friendly business climate and quality distribution infrastructure will position the metro for future growth. Investment home prices are on the upswing in Atlanta, and cap rates have dropped slightly, indicating growing demand for assets among investors. Retail buyers using both all cash and leverage constitute the majority of investment sales. Cap rates on average continue to decline in the metro, further demonstrating its desirability among investors. At the end of 2017, Atlanta cap rates dropped about 20 basis point to 4.92 percent, according to HomeUnion® Research Services. Rents keep growing in Atlanta, and are expected to rise 3.8 percent by the end of 2018 to $1,462 monthly. Meanwhile, year-over-year vacancies dropped 30 basis points to 6 percent at the end of 2017. Whether you’re looking for an investment property in a bustling urban core near employment centers and public transit, or a suburban asset with lots of upside potential, consider the investment opportunities in Atlanta. Consult with one of our Solutions team members at solutionsteam@homeunion.com to help you make a decision that best suits your investment needs.